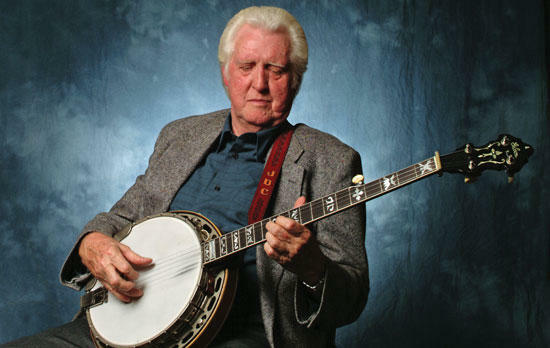 Bluegrass music legend J. D. Crowe will be honored with the 2012 Trailblazer Award at Uncle Dave Macon Days. Crowe’s band, New South, helped launch the careers of Tony Rice, Ricky Skaggs, Jerry Douglas and others. Uncle Dave Macon Days, the nationally recognized music and dance festival, will honor two performers known for their love and mastery of the banjo during this year’s event, held July 13-15. Grand Ole Opry star Mike Snider will be presented the 2012 Heritage Award at 7 p.m. Saturday, July 14. On the opening night of the three-day festival, Bluegrass music legend J. D. Crowe will be the recipient of the 2012 Trailblazer Award at 7 p.m. Friday, July 13. “We are celebrating our 35th anniversary of Uncle Dave Macon Days this summer and are especially excited our two award winners, who are both outstanding entertainers and who like Uncle Dave, embraced the banjo and have taken it to so many audiences,” said Gloria Christy, festival president. The Heritage Award recognizes an individual who has spent a lifetime perpetuating and preserving old-time music. And Snider certainly meets the criteria. He grew up in the rural town of Gleason, Tenn., and continues to live there today. Falling in love with the banjo as a 16-year-old, he often carried it with him while doing his afternoon farm chores. After winning the 1983 national Bluegrass banjo contest in Winfield, Kan., he became a part of the syndicated television show, Hee-Haw, and landed a seven-year gig at the former Opryland USA theme park. The West Tennessee native was inducted into the Grand Ole Opry in 1990. In addition to his genuine sense of humor he often displays on stage, Snider also has a deep affection for the frailing style of playing the banjo first shown to him by the late Grandpa Jones. The bluegrass banjo legend, James Dee “J. D.” Crowe fits the bill perfectly for the Trailblazer Award. As a teen in the 1956, he joined ranks with Jimmy Martin and the Sunny Mountain Boys. In the mid 1960s he formed the Kentucky Mountain Boys with Doyle Lawson, Red Allen and Bobby Sloan. A new generation of bluegrass lovers was inspired in the mid-1970s with his band J. D. Crowe and the New South, which helped to launch the careers of Tony Rice, Ricky Skaggs, Jerry Douglas, the late Keith Whitley and others. This band’s 1975 debut on Rounder Records is considered one of the genre’s most important recordings. Crowe’s sound placed traditional standards along side of more contemporary tunes with a wealth of innovation. The Kentucky native is known for his commitment to musical excellence and nurturing of fresh talent. He won a Grammy in 1983, was a 2001 recipient of the Folk Heritage Award of the Kentucky Governor’s Awards in the Arts and placed in the International Bluegrass Music Association Hall of Fame in 2003. The 35th annual Uncle Dave Macon Days, a traditional old-time music and dance festival , which is the namesake of one of the Grand Ole Opry’s earliest banjo-playing stars, will take place July 13-15 at historic Cannonsburgh Village, 312 N. Front St., in Murfreesboro. Gates open Friday at 1 p.m. The three-day event features highly charged contests with more than $10,000 in prizes. It is the home to the national championships in old-time banjo, buckdancing and clogging and also features arts and crafts, Saturday’s “Motorless” parade, shade-tree jamming, concessions, gospel singing in the chapel, living history demonstrations, a historic photo exhibit and more. Admission, $5 for one day and $8 for two, is charged on Friday and Saturday but Sunday is free and features a gospel and shape-note singing and a Community Service Fair. For more information visit uncledavemacondays.com or facebook.com/UncleDaveMaconDays or call 615-893-2369 or 1-800-716-7560. A special logo has been designed to celebrate the 35th anniversary of Uncle Dave Macon Days. It was designed by graphic artist, John Doubler, who is also a great-grandson of Uncle Dave Macon. A slightly leaning banjo is at the center of the artwork with the many other components of the festival built around the instrument. The festival was started as an afternoon banjo picking on the east side of the Rutherford County Courthouse by Jesse Messick and Edna and David Ramsey Macon, Uncle Dave’s grandson. Today, it is considered one of the premier, summertime music and dance festivals in the Southeast. According to the Tennessee Department of Tourism Development, music is the No. 1 reason people come to Tennessee. Uncle Dave Macon Days plays an important role in tourism development as it is a favorite event among locals and visitors drawing a crow of 30,000 during the weekend.